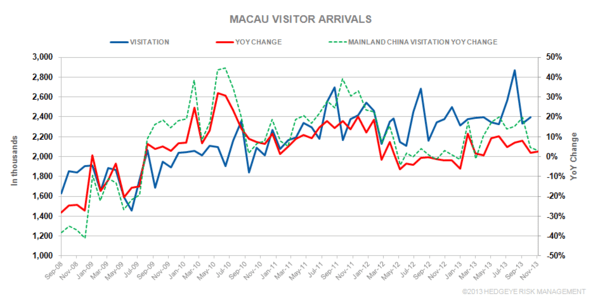 Macau visitor arrivals increased by 2% YoY to 2,432,975 in Nov. Mainland visitors totalled 1,546,641 (+3% YoY), with 45% travelling to Macao under the Individual Visit Scheme. The average length of stay of visitors stood at 1.0 day. 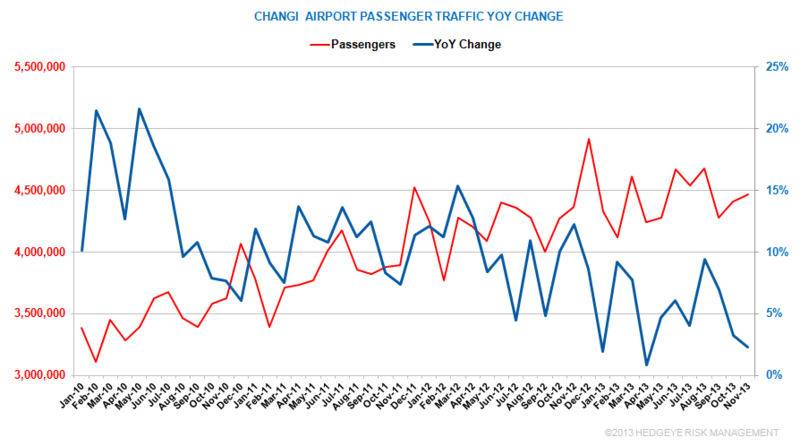 Singapore's Changi airport saw passenger traffic rise 2.3% to 4,464,415 in November. The local unit of MPEL is providing a $340-million guarantee for an operating unit in charge of a $1.3-billion integrated casino project. “The shareholder loan is intended to be a back-up facility arrangement and it is currently expected that it will only be utilized by the borrower in the unlikely event that the senior notes offering consisting of P15 billion aggregate principal...will not be completed,” Melco Philippines said. Specifically, lender MCE (Philippines) Investments Ltd. will provide contingency funding to Melco Philippines unit MCE Leisure (Philippines) Corp. Melco Philippines, MCE Holdings (Philippines) Corp. and MCE Holdings No. 2 (Philippines) Corp. will act as guarantors.